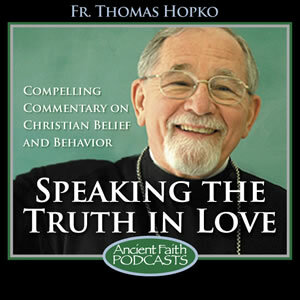 Providing compelling commentary on Christian belief and behavior, Fr. 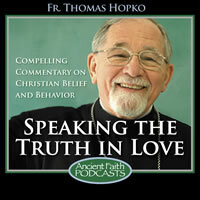 Tom Hopko has joined the growing podcast family of Ancient Faith Radio. Also want to check out his other podcast on Ancient Faith Radio called The Names of Jesus. In a six-part reflection, Fr. 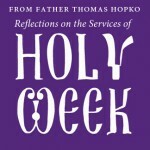 Tom Hopko examines the first three days of Holy Week and the significance of the scripture and verses as we prepare for Great and Holy Pascha. Fr. Thomas Hopko explores a fascinating topic that is bound to make you think. 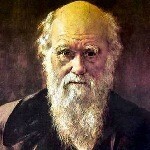 Evolution, creation, naturalism, science, the Bible, and much more will be touched on. Listen to each one in order. 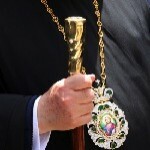 A comprehensive series of podcasts on the structure and leadership of the Orthodox Church by Fr. 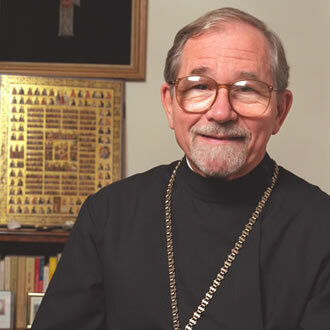 Thomas Hopko, Dean Emeritus of St. Vladimir’s Orthodox Theological Seminary and host of 3 podcasts on Ancient Faith Radio.